The weather in Northeast Ohio seems more and more unpredictable - at times even extreme - with each passing season. During the summer months, the need for central air conditioning has become almost mandatory in most areas. Despite the relief it brings on a hot day, there are some health considerations you should be aware of before keeping that air conditioning running 24/7, as you may be tempted to do. Besides the concerns of high utility bills that result from excessive use, you might ask yourself, "Does air conditioning overuse pose any health risks?" 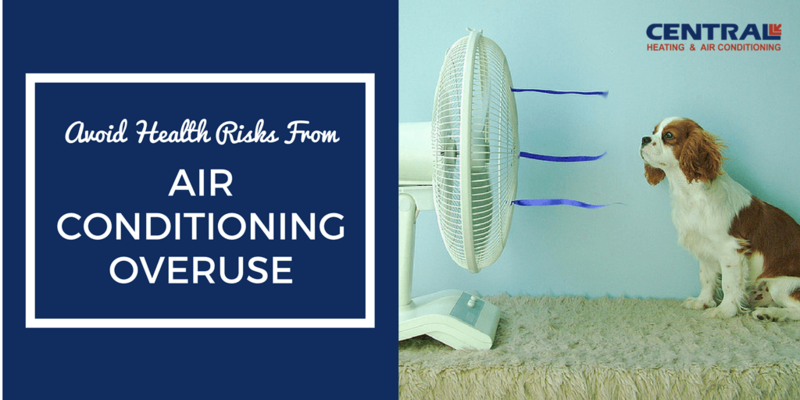 While overexposure to air conditioning itself is not linked to actual illness, constant exposure can contribute to indoor discomfort for various reasons. Dirty filters, uncleaned ductwork and vents and poor overall maintenance can cause your air conditioning system to release mold and other contaminants into the air you breathe. According to National Geographic, dirty filters allow pollen, pesticides and other outdoor pollutants to accumulate and enter your home. Such substances can adversely effect your health. Clean and/or replace your unit's air filters according to the manufacturer's recommendation, or according to your unit's clean filter notification. Constant use of air conditioning combined with poor indoor air quality can contribute to a host of issues related to breathing and allergies, in both adults and young children. Find out more about protecting your family from the causes of poor air quality and what you can do to improve your indoor air in our blog.